If you have a training for a triathlon and also being active, there are two watches from Garmin will help you succeed : Garmin 910XT vs Fenix 2. They will keep track of more than just a stopwatch for you. They also will monitor pace kept, distance covered, changes in elevation, and many more. They are really compatible with both ANT+ sensors and heart rate monitors. They are very handy when you want some help to nudge you along. For further, just look at them both and see which one will be the best for you in here. Why don’t you read it first to make sure that your choice is the best and right one, Garmin Forerunner 910XT Vs Suunto Ambit? This sporty-style watch is the best choice for fans of the sport, including run. Features that is in it is also very useful because it can show distance, speed, time, heart rate, even as the number of calories burned. In addition to running, the clock can also be worn when cycling and swimming. Swimming pool? Yes, because 910XT the Garmin Forerunner is waterproof to a depth of 50 meters. The clock comes with the GPS feature for navigation. Suitable for you who like cycling and planning travel the new route that hasn’t been explored before. Moreover, the battery can last up to 20 hours. Other features are GPS Watch Tracks, Tracks time, distance, pace, elevation, and heart rate on land. Wirelessly transfers data to Garmin Connect for analysis and sharing, Rechargeable lithium-ion Battery, and Water rating 5 ATM. Screen provided a big, sporty design with a wrap of black. The last time , it was about Suunto Ambit 2 vs Garmin Fenix 2, and today we have the other competitor from the same company. Manufacturers of GPS, Garmin GPS watches, Fenix 2 which is an updated version of the Fenix which was launched in 2012. Unlike the previous model, Fenix 2 not only equipped GPS modules, but also with a variety of new features. A variety of new features that have been added on the Fenix 2, among others, an altimeter, a barometer, and a 3-axis compass. GPS watches can also be connected to the iPhone via Bluetooth to display notification calls. With diverse features means these watches support sports activities are more varied. You can wear them for running, rock climbing, biking, skiing, and swimming. Fenix 2 also combines a strong frame with curved glass resistant to scratches. Its screen is quite large with red backlight, while the cord winder are made from polyurethane. In the water, fenix 2 able to work up to a depth of 50 meters (5 ATM). For the durability of the battery, the clock was able to last up to 50 hours in GPS mode and 5 weeks as watches. If a hobby run, Garmin Fenix 2 is compatible with the device’s HRM-Run heart monitors that are useful to monitor Your heart rate. 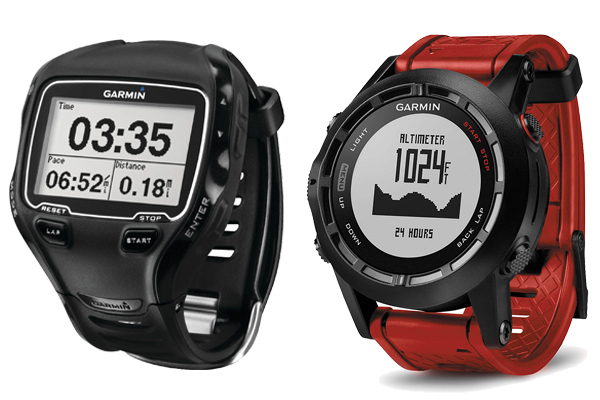 The overall winner of Garmin 910Xt vs Fenix 2 is absolutely Garmin Fenix 2. Why? Fenix 2 has successfully demonstrated rapid update schedule by listening to input from users, marine, military, aviation and triathlon application use, new running dynamics, daily usability, and overall pure functionality. While the best feature of Garmin 910Xt is only on doing racing with more than 8 hours longer than Fenix 2. Also, Fenix 2 has more qualities when it comes about Full Triathlon in Palm Spring.